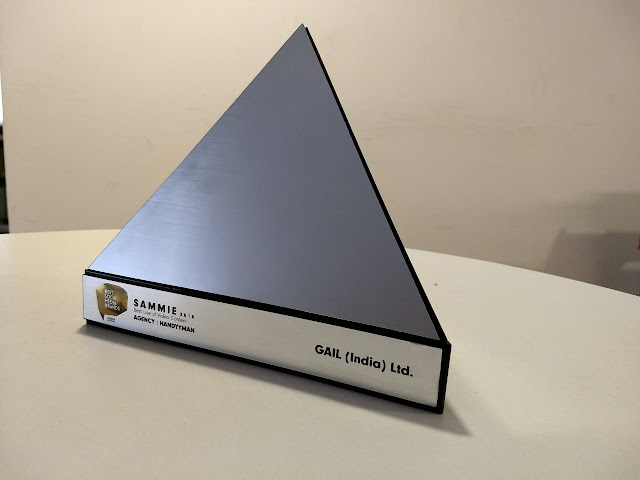 Chandigarh, 08th August 2018: GAIL (India) Limited registered an emphatic win at the prestigious Best Social Media Brands SAMMIE Awards 2018, for their Hawa Badlo Campaign, in the category of ‘Best Use of Video Content’. The gala award ceremony was held at the Westin Mumbai Garden City, Goregaon in Mumbai on Tuesday, 31 July 2018. The SAMMIE Brands Awards & Summit commemorates the success of brands who have brought about pivotal growth and maturity in the Indian social media ecosystem. The award function was graced by the presence of stalwarts from the field of Digital and Content strategy, who deliberated on the essentials of Content Marketing and impact of Digital accentuation. The jury comprised of industry stalwarts such as - Apruva Chamaria, Chief Revenue Officer, Rategain; Prashanth Challapalli, Chief Integration Officer At Leo Burnett; Sanjay Mehta, Jt. CEO, Mirum India; Shoumyan Biswas, VP Marketing at Flipkart; Sulina Menon, Managing Partner, OMD India and Vivek Bhargava, CEO, DAN Performance Group.